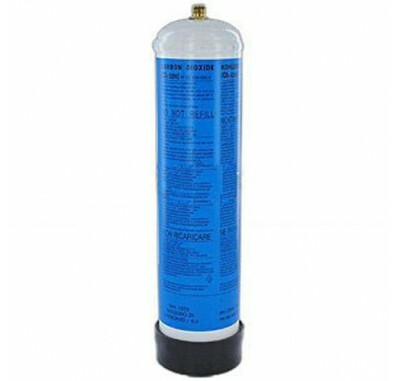 The Everpure EV9318-61 is a disposable CO2 cylinder. The Everpure EV931861 Disposable CO2 Tank can be used with the Exubera Carbonated Water and Instant Water Chiller EV9318-60. If shipping to Alaska, Hawaii, or Puerto Rico: You must ship either USPS or any of the UPS Air services. Due to UPS regulations, this product cannot ship UPS Ground or UPS 3 Day select because it is marked ORM-D (Other Regulated Materials-Domestic). This only applies to Alaska, Hawaii, and Puerto Rico.